Hyundai works with an entirely different class of people and doesn’t have a direct competition against the likes of Audi, Mercedes or BMW. However, the scenario is all set to change with their new Genesis brand. Under the brand name, the company will be launching a flagship sedan. Speaking about the news, the company’s CEO Dave Zuchowski said that they are all ready to go against cars like BMW 3 series, Audi A4 and C-Class models. In the United States, where Zuchowski promotes Hyundai, the automobile manufacturer has very little presence, which is what they like to change with a brand new car. It will be the first of many Genesis cars. A total of six of them will get launched in the United States and as part of their marketing strategy; it will not be made available to all the 834 dealerships in the country. 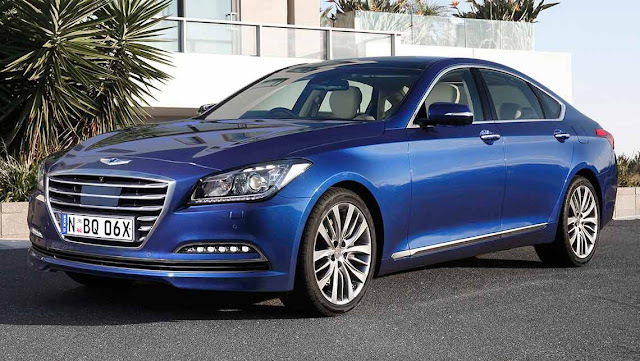 The Genesis models will launch only with select dealers in locations where the manufacturer opines their customer base is much stronger. The CEO was not subtle when he spoke about their perceived competitors and mentioned BMW 3 series as their primary competition. The first launch from the brand is confirmed to be an entry level sedan which will be prized on par with other models so that the customers could add it to one of their primary choices. However, beating BMW and Audi in the race is not an easy task unless Hyundai offers an amazingly stylish car which excels in performance, comfort and interiors. If everything falls into place as planned, the company does have a chance to convince buyers into opting for Hyundai than any other brand. It has also been confirmed that the first sedan and more cars in the Hyundai Genesis series will be showcased for the first time at the 2016 Detroit auto show. Meanwhile, the year has successfully come to an end with a grand presence at the 2015 Los Angeles show. The event witnessed some of the exotic launches from major automobile manufacturers including cars that focused on electric motors and autonomous driving which will enable passengers to ride long journeys without having to lift a finger. Talking about the Genesis sedans, Hyundai’s U.S. CEO said, “The size of the entry level sedan that we plan to introduce will be very similar to the BMW 3 series car and may have some design elements from the crossover. It’s not going to be all large though”.